All of the below information comes directly from job reviews written by Mills & Reeve LLP employees based on 19 reviews. Mills & Reeve advises some of the UK and the world’s most successful and innovative businesses and public sector organisations as well as individuals. This distinctive blend of clients adds to our experience and expertise. Last year our lawyers engaged with more than 75 jurisdictions across the globe, working with our trusted international network of independent law firms. As a trainee at Mills & Reeve you will be fully involved from the start of your training contract. 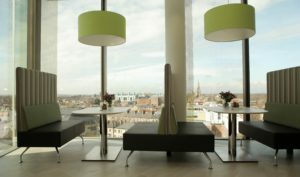 Mills & Reeve LLP is one of the UK’s leading full-service law firms. With 118 partners and around 800 staff, we’re a major firm that is growing quickly. We service a national and international client base from nationwide offices. Core sectors are: banking and finance, corporate and commercial, education, healthcare, insurance, private client, real estate and technology. As an Investor in People, we are committed to developing your career during your training contract and after you qualify. We will help you to identify your own tailor made training plans, provide an array of in-house seminars and supplement these with professional and technical training. “Sunday Times Best 100 Companies to Work For 2015”. The only law firm to have been included for twelve consecutive years. “Best work placement scheme” LawCareers.net 2014 and five previous occasions. 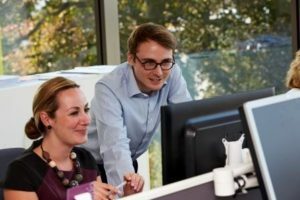 You will be working in one of our Birmingham, Cambridge, Manchester or Norwich offices, undertaking six four-month seats. These seats are in a wide range of areas. However, if you want to experience something not practised in your base office, there may be an opportunity to temporarily move another office, including our Leeds or London offices. We welcome applications from penultimate year law students, final year law and non-law students and graduates. You’ll have a good balance between academic ability, interpersonal skills, drafting skills, common sense, commercial awareness, confidence, initiative, an enthusiasm for your career and a professional approach to work. We look for candidates who have the potential to develop into our solicitors of the future. The closing date for applications for 2018 training contracts is 31 July 2016. Our award winning summer placement scheme allows you to get a taste of Mills & Reeve and the legal profession before applying for a training contract. We offer two weeks’ work experience at one of our offices in Birmingham, Cambridge or Norwich. The majority of our trainee solicitors completed a summer placement with the firm. Applications for two week placements during the summer must be received by 31 January 2016. The huge amount of support that you are given as a trainee. The positive working environment and culture. The interesting and challenging client work and opportunities to develop your skills. The satisfaction when completing a large deal/transaction especially when you have played an integral part from the start to the end. Amazing enjoyable work and outstanding colleagues in terms of friendliness. We get the opportunity to move round to six different areas in the two year training contract, which, when combined with the fact that pretty much everyone at the firm is awesome, means you get to meet a lot of inspirational, funny, down to earth colleagues. The level of responsibility you are given from the very beginning. Although there are some long hours involved, overall I feel I have a good life/work balance; which is great considering this is something I decided would be really important to me when I was looking for training contracts. I also feel the firm strikes the right balance between supervision and giving you independence to deal with tasks. The firm really invests its time in you as a person and I really feel I have developed and become a better lawyer as a result. No question is a silly question and colleagues are always willing to talk a matter through with you so you have a good foundation to work on. High levels of responsibility from an early stage of the training contract, meaning you really get involved in cases/matters and are able to see their progression during each seat. The Firm - the culture is amazing. We are all one team, even across the different offices. As a trainee I have been well respected and given challenging work. The work is varied, but often I have had a lot of client contact which is great. Mills and Reeve has a great office culture - everyone in my office is approachable, friendly, and genuinely interested in helping you with any work or concerns you may have. The work you are given is challenging, but you are supported and supervised to the appropriate level, so you never feel like you are on your own. My office really encourages a good work/life balance - if I need to stay back late to finish something, I'm offered an early mark later in the week (although not all teams will offer this, especially if they are going through a very busy period!). The firm is currently undergoing an office wide refurbishment, so the office environment is really high spec, which makes it a really enjoyable place to work. Getting to do meaningful work on really diverse and interesting matters for great quality clients! Make sure you tailor your application to the firm. Recruitment want to know why you want them in particular, not just why you want law. Also try to pull out examples that fit with the core values of the firm. Be yourself, the interviewers want to know that they can work with you on a day to day basis. Questions asked were a mix of competency questions, why Mills & Reeve and general commercial awareness. Don't make small errors. Read the firm's core values, make it specific to M&R. Make sure that you always write in the active voice - this really changes the tone of your application and makes it much more enjoyable to read. Be yourself but yourself. It's difficult but try not to be robotic, the interviewers will want to see you for who you are in an interview. Also, take your time when answering questions, pausing is not a bad thing! Get someone else to read it before submitting! Try to relax, the interviewers aren't there to trick you and genuinely want you to do well. Do enough research into the firm to give well-thought out answers. Be yourself! They don't always want to know about your legal skills, but rather what other things you have done before coming to the firm, and what you enjoy in your spare time. In a world where nearly all applications are submitted online, I strongly recommend always taking the time to print off your application form and read thoroughly before submitting it. Typos and grammatical errors tend to be a lot more obvious when something is on paper in front of you. Be yourself. I found the whole application process at Mills & Reeve genuinely enjoyable as I felt everyone was really interested in getting to know me rather than it merely feeling like a constant 'test'. Research and find out as much about the firm you are applying to as possible. Look at recent blog posts and the firm's reported news. You can find out a lot about the firm and its culture through the various media outlets. Look at your application and think about the questions the interviewer may ask you as a result. Also, there is no harm in looking up and finding out about your interviewer before your interview. Do your research, always proof read carefully and try to think of a different way of answering the questions to how everyone else is going to answer. When the person trawling through the applications sees something different, it will really stand out. Relax, be yourself and don’t overthink it. Let your personality come through. Be aware there are several steps to the application process, it helps to note down key deadlines so you can ensure you have time to complete them. Be yourself, and be ready to have a conversation with your interviewer - they want to get to know you. Really try to demonstrate your commercial knowledge and give evidence that you have had positions of responsibility before - getting involved in societies at university is a good place to start. Proofreading is a must! I was asked for practical examples of the qualities I had described in my application, such as leadership or decision making skills. You should also be prepared to talk about current commercial issues and how they might impact the firm. Be very selective about which firms you want to work at. It is better to do a few good applications where you genuinely mean what you say than churn out loads of mediocre applications. Be yourself! Even though that sounds really cheesy, if you've found the right firm for you and done your research then the best thing you can do is relax and let your personality and natural enthusiasm for the job and firm shine through. Research the firm thoroughly and really think about whether the firm's culture is something that would appeal to you. Research the firm's values and apply them to your own experience. Be honest in your strengths and weaknesses, what you might perceive to be a lack of relevant experience may, in fact, be exactly what they are looking for. 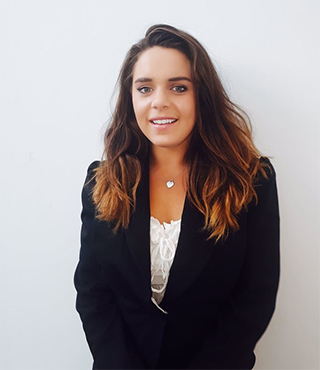 There was no aspect of the interview that required a detailed technical knowledge of the law; instead the focus was more on me as a person and why I wanted to work for the firm. Make sure you brush up on the firm's areas of work, and make sure you know where their offices are! Seek advice from your careers service/online regarding the technique in filling out applications. It took me 3 rounds (ie 3 years) of applications to crack this, which resulted in my suddenly receiving many more offers than previous even though my experience and qualifications hadn't changed significantly. Know your answers for the bog standard questions (ie "why law?") like the back of your hand and be prepared to be challenged on them. Aside from that in my interview, the interviewer seemed most interested in what I was like as a person beyond my legal qualifications and how well I could think on my feet. The main topic of discussion in my interview was the work I had done on Latin American politics during my degree! Demonstrate an understanding of the firm's key sectors of work and how you would fit the firm's ethos. Dress appropriately and be prepared to participate fully in group exercises and discussions. Draft your application and then leave it a few days before coming back to it - you'll be surprised at the number of silly typos/spelling mistakes which you make. Also, try and research the firm and just have a general awareness of events in the business/legal world i.e. read BBC Business as a starting point and various legal websites. Make sure you known your application inside out. Come prepared with some questions to ask at the end. Whilst any interview is tough, the interview for the vacation scheme was more of a conversation with the firm wanting to know more about you as a person. Be picky and honest about what you want. The application process is as much about you finding the right firm for you as firms finding the right candidates. Do lots of research and seriously consider what you ideally want out of a trainee solicitor role - the culture of the firm, the types of clients, the location etc. Law firms vary hugely and finding the right fit is key. Once you find a firm that you think you fit into, the application will be much easier, as you can let your personality and your enthusiasm shine through. Make sure you've done your research - know what the firm does, its client base, what motivates it, its goals and also its culture. Pay attention to the news and what's going on in the world - remember law firms don't exist in isolation, they need clients, and clients are affected by business affairs and global events. Don't be afraid to show some of your personality - if you've applied to the right firm and genuinely believe you're a great fit for it, then let that shine through at the interview! Do your research and make your sure your application is tailored to Mills & Reeve. Try to find something about yourself that is different to what everyone else is saying and apply it to what the company does. Make sure you get fully involved in the assessment day and show what you can do. The interviews are not too scripted and are more about the interviewer having a chat with you, so have something interesting to talk about. Also make sure you're up to date with the news/politics, as they may throw the odd topical discussion at you. Be friendly, approachable and ambitious. Research the firm in sufficient detail and give firm specific answers to questions on the application form. Try to use as wide a range of examples as possible when demonstrating your skills. Honesty is the best policy - partners don't like people trying to be something they're not. Always check for tiny errors as these may cause your application to be discarded due to fierce competition. Try to make yourself stand out. Be confident but not arrogant. Engage the interviewer in a conversation rather than simply answering a string of questions. In the group session of the assessment day, balance your own contributions with your encouragement to others for theirs. Know the firm. generic answers will not get you very far. You don't have to know where you want to qualify, but know why you've applied! Also, the Vac Scheme is a very good method of applying and experiencing the firm simultaneously. It was a relaxed atmosphere while we discussed my application and a few relevant topics in the news. Be yourself and try and demonstrate the key qualities which the firm looks for in their applicants; a well rounded individual who is willing to learn and will fit into the culture of the firm. Don't leave submission of applications to the last minute. Tailor the answers to the firm and don't use generic answers. Make sure you are able to show a commitment to the area in which the office you are applying for is located. It is a regional firm and it is important to show you want to stay in the area even once your TC is over. Remember that it is not an international firm. Clients are local and there aren't too many plans to extend the firm's international reach. The interview is very much about getting to know you as a person. They want to see that you are enthusiastic about the career but also an interesting well rounded individual with other hobbies. Read up on the things the firm knows it is good at - for instance its expertise in education and health. Bear in mind that there is a group session as well as the interview - it is difficult to prepare for this but it is a good chance to demonstrate your abilities to work with others and present your ideas in front of a group. It helps if you've got connections to the office/city you're applying to, but that's by no means determinative. Be open, honest, approachable and friendly. Speaking another language is really useful. Unlike lots of law firms I wasn't asked my opinion on big commercial issues of the day, but I was quizzed on why I'd chosen to take certain steps in my education e.g. why I chose A-Levels instead of the IB, or why I chose to study law, and why I chose the university I did etc. It is important to have fully researched the firm including understanding the type of work the firm does, its key sectors and the type of clients the firm attracts. Having a general understanding of commercial awareness and keeping abreast of developments in the business and legal sector is very valuable. The firm embraces trainees from a variety of backgrounds and routes into law but each trainee has something which sets them apart from the crowd. Make sure you emphasise and have good examples of what makes you different from other applicants. Getting involved in extra-curricular activities is a good way of demonstrating this and is encouraged by the firm when you begin your training contract. Be confident in your ability and make sure you fully understand why you have chosen to apply to Mills & Reeve. The interview comprised of attending a half day assessment day which involved completing competency tests (I think candidates now complete these prior to attending the assessment day), participating in a group exercise and having an interview with a partner. The day ended with a tour of the office. Be well prepared and make sure you know your application inside out and are aware of latest developments/key deals the firm has been involved in. Be friendly, honest, enthusiastic and most importantly be yourself. Being the right sort of person for M&R does not just require you to know the firm well, but also requires you to know the various clients, the sectors the firm specialises in and perhaps most importantly, the geographical area in which the office you are applying to is situated. M&R does not recruit graduates in London and most people want to work at a particular office because they have ties to that particular region/city. Be prepared to talk about other firms you have applied to and why you have applied to them. Be yourself and be enthusiastic about the role. Make sure that you know your application form inside out so that you're ready to answer any questions which may be asked. Mills & Reeve take a very relaxed approach to interviews. They generally last for around 45 minutes and there's a focus on getting to know you as a person. Your interviewer will try to get you talking about something which interests you. They're looking to see if you'll fit into the team and whether they will want to work with you in the future. Apply for the vacation scheme before the 31 January deadline. This is an incredible experience and great insight into the firm and role. The firm often chooses their trainees from the participants of the vacation scheme, it is an excellent time to shine. Research the firm and any service lines that are of particular interest to you. At the end of the day be yourself, Mills & Reeve is interested in smart, proactive and genuine applicants. Apply for the vacation scheme - the majority of trainees were recruited following two weeks experience rather than by the assessment day. Don't come across too confident at the assessment day, especially during the group task. Don't talk over people, give everyone a chance to speak. The firm don't like people with too big an ego! Show commitment to the law and inter-personal skills. Questions relating to commercial awareness of financial climate and dedication and ties to the local area. Find out who is interviewing you. Be friendly, open and honest. That way you'll embody the qualities of the firm. Know the firm that you are applying to and tailor your application accordingly. Be yourself and know your application. No two trainees at the firm are alike or fit any specific mould and the firm embraces people from a variety of different backgrounds and routes into law. However, every other trainee does have something of a spark about them - something that sets them apart from the crowd. Try and emphasise how you are different from other applicants. Show a genuine interest in the firm, the work the firm does and, critically, its clients and their sectors. If you are able to show commercial knowledge/experience this will also be very valuable. Be well prepared, know the firm and its client sectors. Be enthusiastic, interested and friendly. Do your research and tailor your application accordingly. Understand the firm, the nature of the work that the firm does, the profile of typical clients and the firm's ethos and link that to your own aspirations for your professional and private lives. If you can do that, you have a compelling reason to want to work here and a credible story to tell. Try and get on the vacation scheme if you can. A connection to the area helps. Lots of people in the office say they chose Mills & Reeve because they didn't want to work/live in London. I went to school in Cambridge and have family here so for me, that made my story all the more credible. I spent most of my interview being asked about mountaineering... Like all firms, Mills & Reeve are looking for people who are well rounded. Your interview will not be a big quiz on how much law you know. The best interview advice is - be honest. The person interviewing you is almost certainly a partner, and they are a partner at a large law firm for a reason. You cannot bluff in an interview, so if you do not know the answer to something, say so. Stay clear of mentioning things in your application/on your CV that you are not able to expand on in detail. The firm has expertise in a number of slightly niche sectors (e.g. education and health) and it is worth doing some research into the firm's main clients. I attended a half-day assessment in which there were aptitude tests (testing verbal reasoning, numerical skills etc.) and group exercises as well as the interview itself. Apply for the vacation scheme. It is a good way to know the firm and for the firm to know you. A very high percentage of the trainees are recruited directly from the vacation scheme. Be yourself but sell the best version of yourself. The group exercise is very important. Don't be the loud one but instead throw relevant questions to the group and comment positively on people's ideas (if they are good). That will show that you are a team player. Be confident and clear as to why you are applying for Mills & Reeve. Research the role and what makes a training contract at Mills & Reeve unique. The interview lasts a full day and involves a group assessment. Try and demonstrate commercial awareness of the legal market. Be honest and have a clear idea of why you want to work for the firm. Take time to read into what M&R can offer. The 6 seat contract is relatively unique among firms, and is something that the firm is proud of. Apply for the vacation scheme - a lot of firms are switching to hiring exclusively on a vac scheme placement, and I wouldn't be surprised if M&R goes that way somewhere along the line. Our vac scheme has won awards, so it's well worth applying! Be yourself! False pretenses are very hard to maintain. How do you think the economic downturn has affected each of our key areas of business? Be clear about why you are pursuing a career in law and why this firm. Be yourself! Many applicants tend to complete the application with what they think the firm wants to hear. More personable and individual applications are much more likely to get you noticed. Ensure you research the firm before attending an interview. You will be expected to know the various office locations, legal fields etc. Demonstrate that you are a well-rounded, independent person. Be sure to look into press releases of work the firm has recently undertaken. Research the firm and tailor your applications to ensure that the firm is a good fit for you. There is a group task - be controlled and composed and try to facilitate discussions. A dictatorial style will not go down well. - stand out from the crowd; what skills do you have that no one else does? Know key facts about the firm. Know what areas of law we do and what important clients we have. What are our ambitions/plans for the future? When applying for training contracts, I was looking for a firm where I would be intellectually challenged and supported by those I worked with. I really feel that I have found this at Mills & Reeve. Our collaborative culture is something that we really value. All members of the team are recognised as contributing towards the resolution of each client’s case. I think that this gives us all a better environment to work in and I hope that this makes us a more attractive firm for clients to work with. The interviewers were very interested in me as a person. They wanted to ascertain whether I'd fit into the firm, not hear about my knowledge of The Economist or The Financial Times. Take time to think about what you want and find a law firm that matches your values - it will make the application process a lot easier. Be yourself and don't be afraid to sell yourself. research the firm and the areas of law and think about what seats you would want to do. I think the firm looks for a balance between academic success and someone who is personable and would be good with clients and who can talk about law in a way which clients would understand- you would therefore want to get this across at any interview. For training contract applicants - make sure you can talk confidently about everything in your CV. Definitely apply for the summer placement. You get a sample of the work of a trainee (not just busywork/photocopying! ), and the majority of trainees are recruited from the scheme. The firm is looking for people that it knows it can rely upon - eg talking to clients - from day one. Be positive; show that you are commercially aware and pragmatic; if you have any particular value which could contribute to the firm's development, elaborate it. Do research about the interviewer, if you are told who that will be before the interview; be confident; be ready to explain any of your experience or previous activity in detail; build good rapport with the interviewer; prepare appropriate questions for the interviewer, best to be relevant to his/her practice area. Research the firm really well, know the sectors and clients and mindset really well. Be ready to talk about your own achievements in the context of the firm's ethos. Show you know something about the firm's clients and say why you want to work here. Note any meia attention the firm may have had recently and that you're impressed it's a Times Top 100 place to work. Enthusiasm is important but don't go over the top. People here are level headed and showing common sense is more important. Don't overlook your experience in non-law areas and mention your travels and any extra curricular responsibilities you've had outside work - clubs, societies etc. With this role and with other training contract applications the advice would always be the same - research the firm as much as possible and take a genuine interest. Follow M&R lawyers on Twitter and keep up to date with legal news. Show this, and commercial awareness in your application. Go and experience as much as possible and show this in your application. The more you do and experience - the better. Know why you are applying to a specific firm. In group situations be confident and vocal but not overbearing. Show why you are different to all the other candidates. What makes you stand out from the crowd? It can be anything at all but you will have to show how that will be an attribute for Mills and Reeve. Know the firm inside out. Know what awards it has won and the growth areas it is aiming for. Be confident in yourself and ask questions that make the interviewer have to think. When you are drafting your CV remember that client service is key - whatever jobs you have previously done always make sure you tweak your CV to refer to any skills you have relating to client service. Make sure you tailor it to the firm. Do your homework. If you are serious about wanting to work for M&R, you need to know what we are all about - our visions and values, our practice areas and some of our deals. Competition for jobs is really strong, so you need to be able to properly demonstrate why you want to work for us. Think about the sort of questions you are likely to be asked and plan answers. Research the firm before you apply and show commitment to the area. Take your time and really focus on what the firm looks for in its candidates. Think carefully before answering a question and treat it like a conversation. Check the application form several times before it is submitted as every application is read. Do as much research as possible on the firm and use law school's facilities such as interview practice, feedback from previous candidates etc. If you are interested in the firm becasue of a particular practice area have a look at recent work that has been done by that team and read any blogs and tweets and include this in your application. Think of interesting and thought provoking questions to ask that show you understand the market. Do your research. Know where M&R sit in the market and understand who their clients are and the sort of work that they undertake. It is important to understand what differentiates M&R from other law firms. Make sure you know why you want to join M&R and what specifically connects you to the firm. If you have no common ground then people will question your motives for applying (e.g. you been rejected by larger London firms). The firm wants to see that you have a keen interest either geographically or to the type of work that we undertake. You are an investment to the firm and M&R will want to see your long term commitment. Be prepared to answer competency based questions in the interview and to know about the firm. Research some of the deals that the firm have recently been involved with and let the interviewer know you have done your research. There will be a group task where it is important to show your team skills. It is ok to be a leader but you must also facilitate discussion and draw others into the conversation. Do not talk over people and allow them to have their say. The task will include a presentation so talk clearly and be to the point. Keep an eye on the clock as there is a time limit. Finally, practice some psychometric tests before the day. You will take 3 tests: english, maths and logic. A strong performance in these tests can make the difference if 2 candidates are similar. Apply for the vacation scheme before applying for the training contract. The vacation scheme will give you an honest overview of what it is like to be a trainee at the firm. Be yourself. If you are a natural fit you will be selected. If you are not a natural fit and are not selected then you should not be disheartened. Quite the contrary. It is much better to work in a place where you feel valued than somewhere where you do not feel you belong to. Know the values of the firm and understand the different sectors it operates in. Prepare thoroughly through researching recent deals and developments in the firm. Encourages a good work/life balance. Positive working environment. Large amount of support. Salary is not particularly high, particularly for trainees in Cambridge given the cost of living. The culture is fantastic - there is not the corporate feel to firm and everyone is willing to stop and have a quick 5 minute chat with you. With this, it is a place of work that I enjoy coming into each morning! I think the pay could be slightly improved. Sometimes the systems can be inefficient and rigid. The culture - everyone is genuinely friendly and approachable. The work/life balance is great. I have loads of hobbies outside of work and work does not impact them. The firm could take further steps or invest more money in making its offices modern working environments that aid agile working. The quality of work, culture and the people. Supportive environment with approachable colleagues. This is true of staff at all levels of the firm. The whole firm is great - the culture, the lack of hierarchy, the respect, the fun. The culture and the people. It's lovely to work somewhere where your colleagues are all motivated, bright and ambitious people but who are friendly, supportive and easy to get on with as well. The firm is open and transparent, everyone is treated with respect and the usual hierarchy of law firms is not present. The culture of the firm is fantastic. The IT systems are quite outdated and unreliable. Great working environment, with genuine enthusiasm for looking after employees. IT needs working on, although progress is being made slowly! Supportive, great benefits, reasonable expectations, work/life balance. The culture, work-life balance, colleagues, high levels of responsibility and being a valued member of the team (especially as a trainee when you move every 4 months). Trainee salaries are the same across all offices and doesn't take into account the higher cost of living e.g. in Cambridge. There is a difference between offices i.e. the Birmingham office is now feeling more outdated than the brand new office in Cambridge. However, the positives by far outweigh the negatives of working at the firm. Mills & Reeve has a collaborative culture, which means everyone works together and supports each other in providing great client service. This also makes it a great place to work!